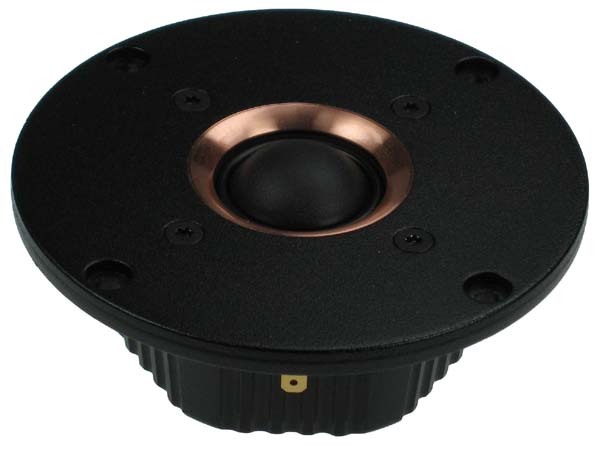 The T25CF002, “MILLENNIUM” is a 25mm soft dome tweeter with a novel Neodymium based magnet system. magnetic stray fields present no problems in AV installations. from SONOTEX for excellent performance and consistency. 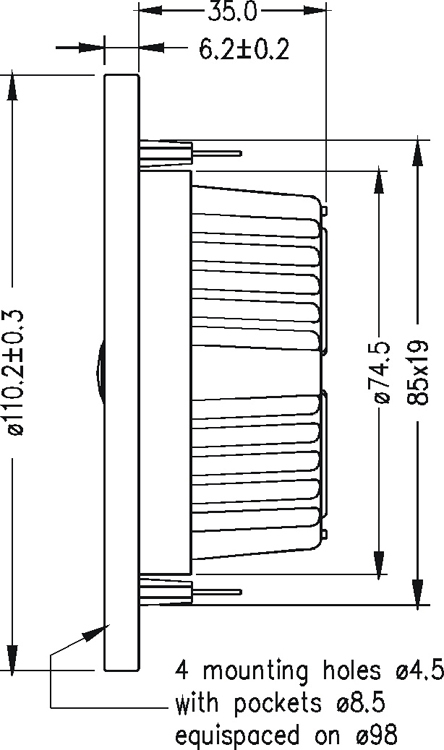 Flexible lead-out wires ensure a good connection between voice coil and terminals. 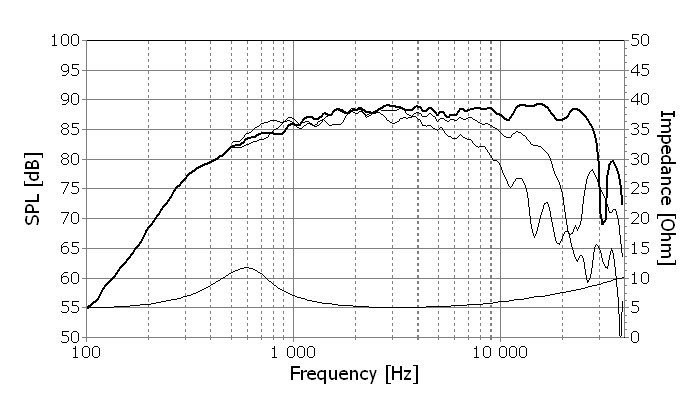 encountered when low crossover frequencies are used. unwanted chamber all resonances and conducts heat away from the magnet system.